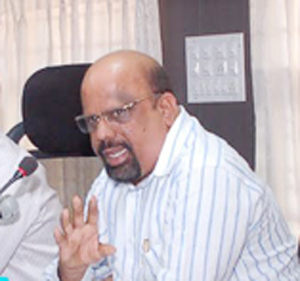 Mangaluru, June 30, 2015: MCC - Mangaluru City Corporation will compete to get listed under the smart city project of the Union government, according to Gokuldas Nayak, Deputy Commissioner (administration) and in-charge Commissioner of the civic body. AC Nayak who attended a two-day meeting in New Delhi over smart city project from June 25 told the monthly meeting of the council June 29, that the civic body would have to submit a proposal as per guidelines given from the Union government. A meeting of all stakeholders would be called soon to discuss it and prepare a proposal. The help of experts would be taken in preparing the proposal. He said that if selected, the Union government would give a maximum of Rs. 500 crore for five years for development works. The State government would have to share an equal amount during the period. Thus the civic body would get the eligibility to get a maximum of Rs. 1,000 crore for five years. The corporation would have to fulfil 13 criteria set by the government to get the amount.